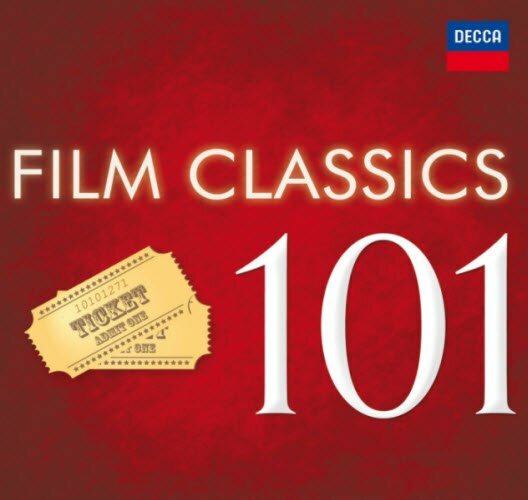 For many their first encounter with classical music will be through its use in films and this collection makes a fantastic entry point to this rich and diverse world. Helpfully all tracks list the films alongside the music, so there will be no doubt as to where the music is familiar from. Classical music has been used to memorable effect in films many times from Ride of the Valkyries in Apocalypse Now to Barber s Adagio in Platoon and from Also sprach Zarathustra in 2001: A Space Odyssey to Beethoven s Ninth in A Clockwork Orange. Occasionally, as in the case of Mozart s Piano Concerto No.21 used in Elvira Madigan, the film title has provided a lasting nickname for the music. All these favourites are included here. 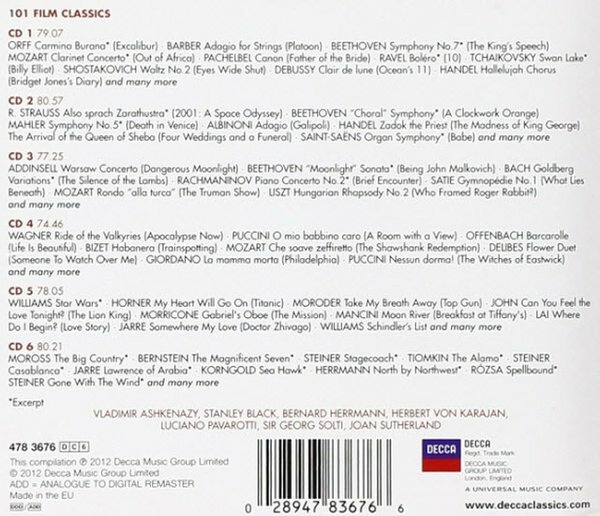 Alongside two discs of popular favorites, there is a CD devoted entirely to piano music used in film, and another of opera favorites from the movies. Finally there are two discs of music composed for the cinema including the main themes from Star Wars and Schindler s List, both by John Williams, and classics from an earlier time including Gone with the Wind, Lawrence of Arabia and The Big Country. With a running time approaching 8 hours of music this box set provides remarkable value for money.